← The Force is strong with this dress. You end up with thirteen or so pairs, and it takes a long time! 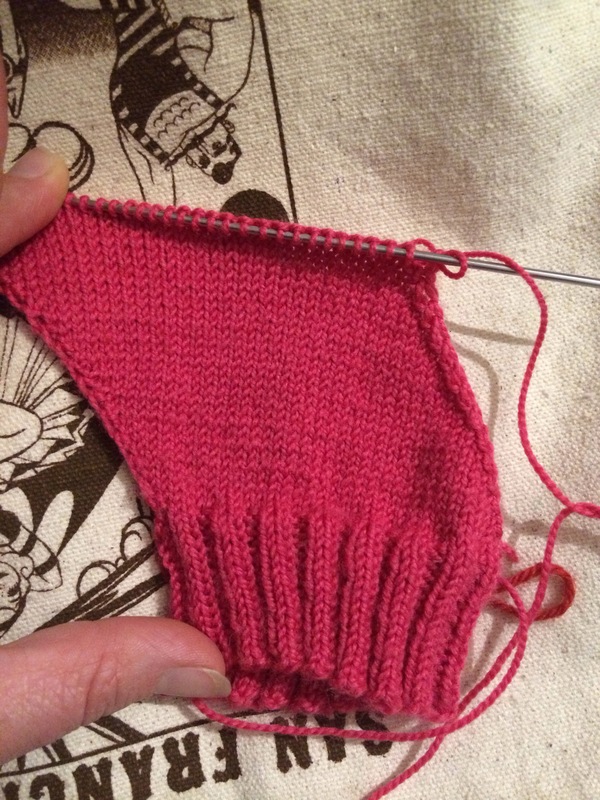 I’ve been working in putting my hand knit socks away more neatly, and it’s paying off! 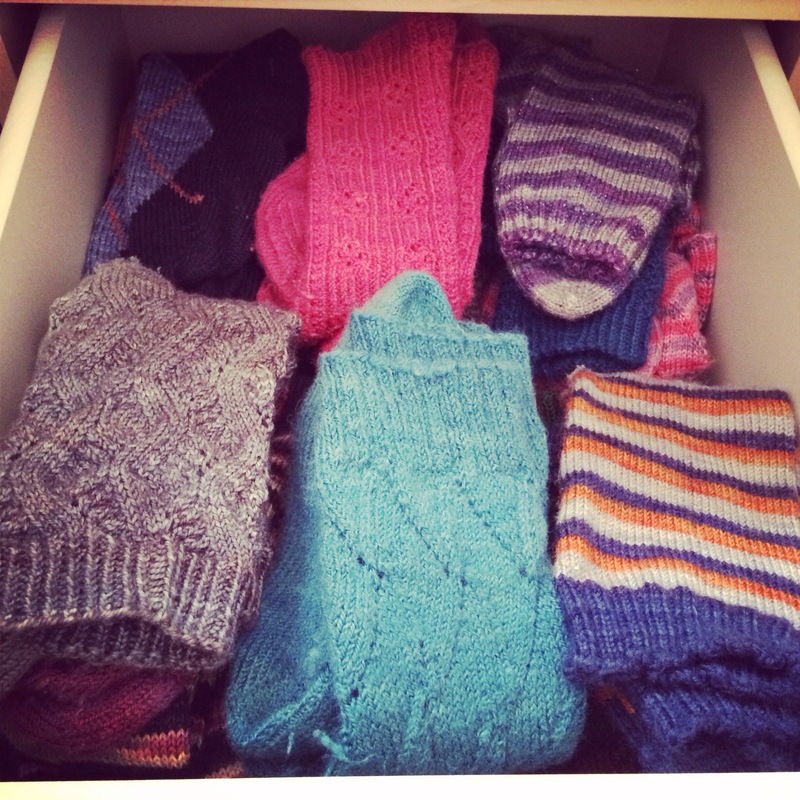 There’s a lot more space for more socks when they’re folded nicely! Now isn’t that some interesting sock construction?? Oops, sometimes my socks look like that, too. Especially the non-exciting white sports type. 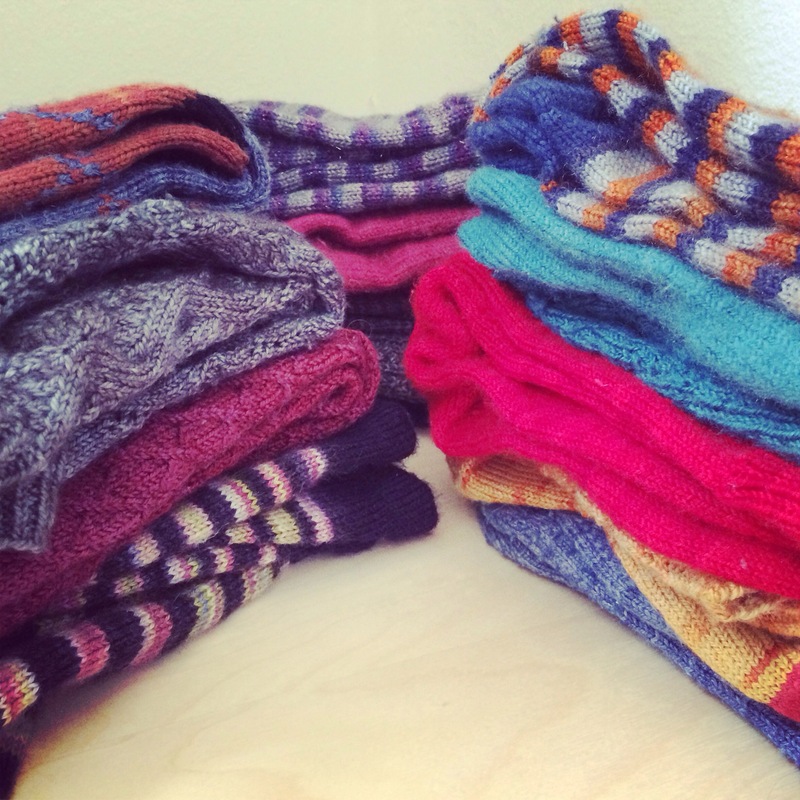 This coming week would be great to wash socks as the warm weather will dry them quickly. A Happy Mum’s Day to you. Happy Mother’s Day to you, too! Looked like a good one! 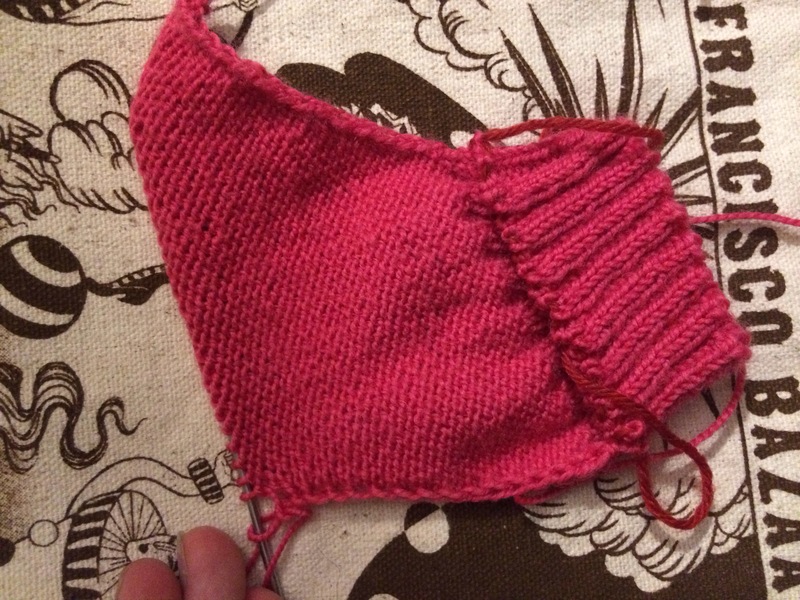 Luckily my bathroom has a skylight, so my handknits dry quickly in the warmth and sunlight!